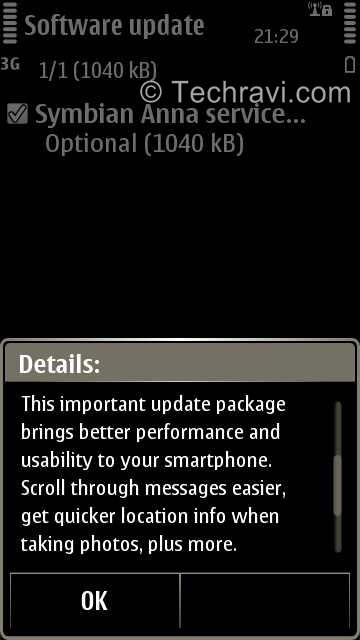 Recently Nokia released firmware updates for Nokia 5800, 5530. 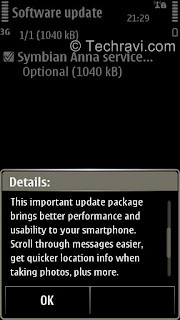 Now, a 'service pack' for Symbian Anna, claimed to bring performance and usability benefits, It also claims faster email and messaging, some GPS fixes and some minor bug fixes. The size of update is about 1 MB. The phone will restart after installing the update, Note that the service pack doesn't change the underlying firmware version (v25.007, typically), i.e. it's an 'application level' update, not something that patches the firmware.